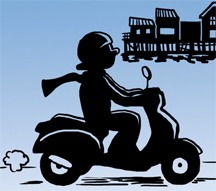 The Labor Day Weekend was a working one for Squid Row Comics. 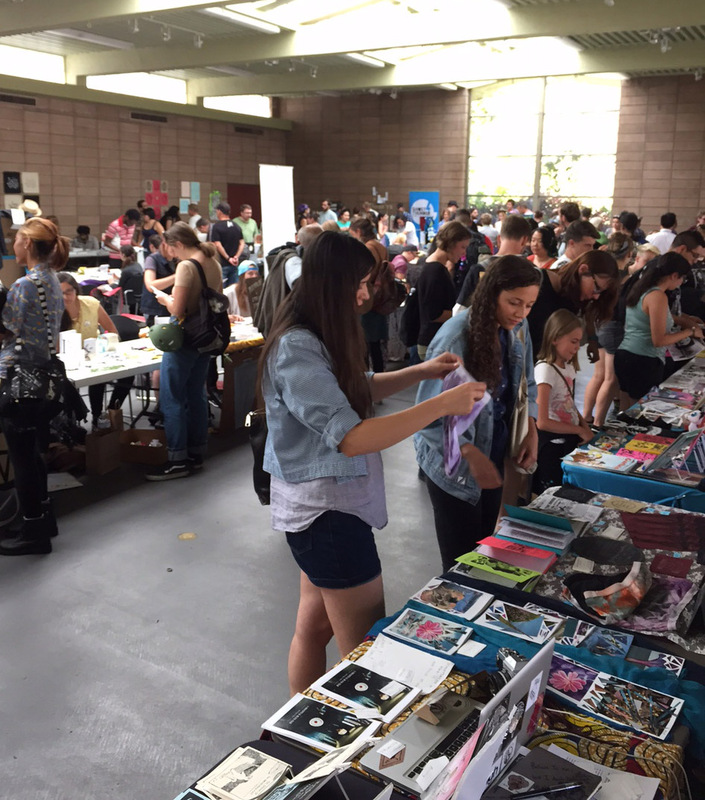 It started with First Friday in Salinas… with the tent and the stuff… Saturday, I spent making buttons, and doing commissions… and then on Sunday, my Minions drove us up to Golden Gate Park, where I tabled at Zine Fest. Said Minions opted to explore the Science Museum and Botanical Gardens… I’m glad they had fun doing so… Minions need to have fun, or they become unwilling Minions and revolt! So I set out my wares, 18 issues of Art-o-rama and some Squid Row books and the hand-drawn original buttons that always sell well. My next-door booth mate, A.D. Puchalski was from New Jersey… and was interesting to talk with. We shared our love of kittehs, Stuffties, and coffee. It was a good match. Harold and A.D.’s unicorn both had the day off… it’s hard work, being a Stufftie. ZineFest was a good venue… especially for people watching… I have never seen such an event where the people were so peculiar-interesting-bizarre-odd looking. I did some serious sketching between sales… which were moderate. Overall, the event was fun, despite the heat in the building and the trek up to The City.